Original Audi 6cd Changer. Condition is used as per photos. Please refer to part numbers in photos for compatability before purchase. Audi 6cd Changer Glovebox. Used condition. AUZ5ZAD8128336 - check part number before you buy. The rest numbers on the label - see photo. Excellent working order when removed. A4 B7 2005-08 MODEL YEARS (8E). Application: A3 2004-13 MODEL YEARS (8P). A3 CABRIOLET 2008-13 MODEL YEARS (8P). RS4 B7 2006-08 MODEL YEARS (8E). RS4 B7 CABRIOLET 2007-09 MODEL YEARS (8H). RS3 2011-13 MODEL YEARS (8P). PART NUMBER: 4D0 035 111 APE. Audi A4 B6 6 CD Auto Changer. Donor Car: 2002 Audi A4 B6 Avant 1900cc Quattro. The New and Used Audi Parts Specialist for all Audi models worldwide. Audi Part Number: 8E0 035 111. It may fit others. 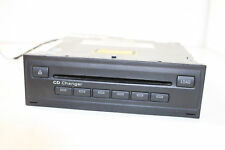 This auction is for a cd changer removed from a 2005 Audi A3 but may fit other models, part number 8E0035111. Please check the part number is correct for your vehicle before buying. The unit is in full working order and comes with a 90 day guarantee. If you are unsure about fitment to your vehicle please send a Message / Enquiry. FOR YEARS: 2004, 2005, 2006, 2007, 2008 (2008). MON - FRI 9AM-6PM. RS3 2011-2013. RS4 2006-2008. RS4 Cabriolet 2007-2009. A3 2004-2013. A3 Cabriolet 2008-2013. TT 2007-2014. A4 2001-2008. A4 Cabriolet 2003-2009. YOU WILL FIND MORE INFORMATION ABOVE. Used Condition! Have minor mark, dents, scratches. We are openMon.-Fri 9:00am - 5:00pm. Sat 9:00am - 2:00pm. All parts are used, fully tested and are in fully working order, unless stated in the title. Q5 2009-10 MODEL YEARS (8R). A5 CABRIOLET 2010 MODEL YEAR (8F). A5 2009 MODEL YEAR (8T). A8 D3 2009 MODEL YEARS (4E). A6 C6 2009 MODEL YEAR (4F). PARTS DEPOT - GENUINE PARTS WITH GENUINE SAVINGS! 6 CD AUTOCHANGER FOR GLOVEBOX. See All Pictures for datails of the original Cd Changer. SCOTTISH HIGHLANDS AND ISLANDS NOT INCLUDED ! OUR AIM IS TO MAKE SURE YOU ARE ALWAYS 100% HAPPY! GENUINE 6 DISC CD CHANGER. AUDI A4 2.0 TDI S-LINE 2006. We also specialize in used car parts that have already been removed and shelved. ALSO FITTING IN OUR GARRAGE MY BE AN OPTION. CARRIAGE PRICE SHOWN IS FOR UK ONLY. Full working order(tested). Part also fitsA4 2001 -2005 Mk2 (B6). Symphony II 8E0-035-195-C, Tested Needs recode. Make / ModelAUDI A4. made with love by. REMOVE FROM AUDI TT QUATTRO 1.8 PETROL,1999 YEAR,224 BHP,6 SPEED MANUAL DQB GEARBOX,ENGINE CODE APX,PAINT CODE LZ5W BLUE. MY AIM IS TO MAKE SURE YOU ARE ALWAYS 100% HAPPY! IT IS A 6 DISC CD CHANGER. RRP £263.78 FROM AUDI. 6 DISC CD CHANGER. Local collection available. 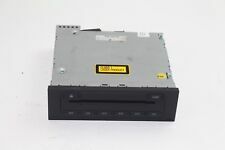 Genuine 6 DISC CD CHANGER UNIT 4E0910110C. 2007 AUDI A6 C6 SE 2.0 Tdi. Model: 2007 A6 C6 SE 2.0 Tdi. Cash only if collected in person! Drive side: right-hand drive. Car number 049. Item will be sold as it is shown in the pictures (you will receive exactly what you can see in the pictures). FOR YEARS: 2005, 2006, 2007, 2008, 2009, 2010, 2011, 2012 (2012). MON - FRI 9AM-6PM. VAG Part Number 8N8035111A. Audi TT 8N MK1, CD Changer, 6 Disc Multi Changer. AUDI A6 C6 2.0 3.0 TDI 2004-2008 MP3 6 DISK CD CHANGER. A6 C6 2.0 TDI. All our used parts are in good condition and are tested prior to dispatch. BODY TYPE PART NUMBER ITEM CONDITION. BLACK PEARL. Audi A3 A4 TT R8 6 Disc CD Changer. Donor Car: 2004 Audi A4 B6 Cab 3000cc Quattro Sport. The New and Used Audi Parts Specialist for all Audi models worldwide. Audi Part Number: 8E0 035 111 C. It may fit others. AUDI A8 D3 2005 - 2009. REMOVED FROM AUDI A8 D3 2008 3.0 TDI ASB AUTOMATIC GEARBOX IN BLACK LZ9Y. WE AIM TO RESOLVE ANY ISSUES WITHIN 24 HOURS. PART NUMBER 4E0 919 977 A. IF THERE IS A PART YOU ARE LOOKING FOR AND YOU CAN NOT FIND IT. 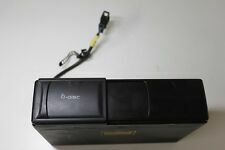 05 06 07 08 Audi A4 6 Disc CD Changer OEM Nice!